Gaming on Linux is on the rise, but if you don’t want to turn your PC into a game server Not All About SteamOS: Other Great Linux Distros for Gamers Not All About SteamOS: Other Great Linux Distros for Gamers SteamOS certainly isn't a requirement for Linux gaming, as games can be played on virtually any distribution. But what SteamOS alternatives are out there, ready to download and install? Read More or install Steam and play brand new games — perhaps you’re using an older Linux PC or laptop — then the answer is with old games, retro classics from the Windows platform 10+ Windows Games You Could Be Playing on Linux with Steam 10+ Windows Games You Could Be Playing on Linux with Steam If you've been holding onto Windows simply to play your favorite games, let go. Installing SteamOS is now a viable option and the following collection of titles illustrate just what the situation is in 2016. Read More . While it is possible to play some newer games on Linux 5 Games That Prove Linux Is Now a Serious Gaming Platform 5 Games That Prove Linux Is Now a Serious Gaming Platform Big-budget games are coming to Linux, thanks to graphic driver improvements and the arrival of SteamOS. Here are five, top-tier games which undeniably demonstrate the potential of Linux as a platform for gaming. Read More , the chances are that unless you have a high-end PC, this isn’t going to be possible without some form of emulation. But let’s face it, with a library of games stretching back over 30 years 8 Free MMORPGs That Run Natively on Linux 8 Free MMORPGs That Run Natively on Linux "You can't play games on Linux" is one of the most outdated lies that people keep spreading, but while MMORPGs are lagging behind, there are several free MMORPGs that run natively on Linux. Read More , you’re going to have plenty of choice if you’re looking at older titles. Whether you’re looking at a 1990s classic or a smash hit from 2010, you have several options available to you for running them in Linux. Wine is probably the default option for finding a way of running any Windows software on Linux. Rather than being an emulator, Wine introduces a software layer between the software and the operating system, enabling the successful installation and — often — successful launch of the game in question. Wine can also be used on Mac OS X. Why you’ll find that Wine will have more success running older games, for newer titles you should look at the more gaming-focused option, PlayOnLinux, which — as the name suggests — was originally aimed at running games (although it is adept at running applications too!). You should also consider Windows DOS emulation. Until the arrival of Windows 98, the majority of videogames for Windows could run in DOS or on the desktop; by the time of Windows XP, all games would run exclusively in the desktop GUI. You’ll find DOSBox in the Ubuntu Software Center, but it can also be installed in the command line. Fun fact: if you’re using DOSBox on other platforms (such as Android, for instance) you can copy the save game files across and carry on playing! Despite being written for Windows, this guide to using DOSBox Run Old Games In DOSBox Without Mounting Drives Run Old Games In DOSBox Without Mounting Drives Tired of mounting drives in DOSBox every time you want to run an old game on a modern Windows machine? With a little trick you can play your game without wasting time mounting drives. Read More should help you get started on Linux. Your second choice is to employ virtualization software to set up a virtual machine What Is a Virtual Machine? Everything You Need to Know What Is a Virtual Machine? 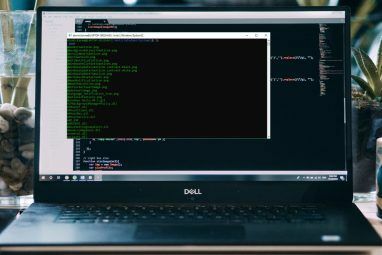 Everything You Need to Know Virtual machines allow you to run other operating systems on your current computer. Here's what you should know about them. Read More . This should be reasonably straightforward, with virtualization solutions such as Oracle’s Virtualbox a popular option (although VMWare produce software for Linux as well as Windows). 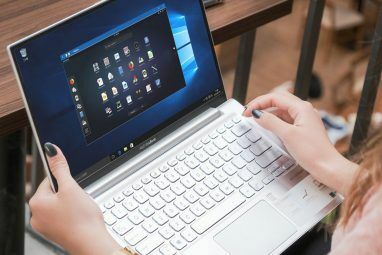 What a virtual PC requires, of course, is a copy of Windows, so keep it legal and install an old copy of Windows 7 or 8 on your virtual PC, then go ahead and install the games you want to play. As with Windows, you can find various digital distribution services that are compatible with Linux, offering either mainstream titles — retro and new — or Linux-only and/or indy games. 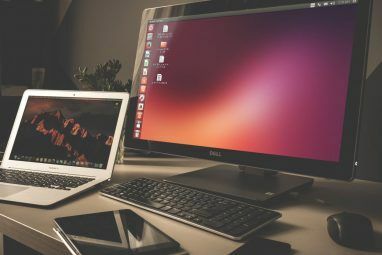 Most notable among these is Steam How to Install Steam and Start Gaming on Linux How to Install Steam and Start Gaming on Linux Installing Steam on Linux computers is straightforward, and the result is usually the same seamless gaming experience you had on Windows. 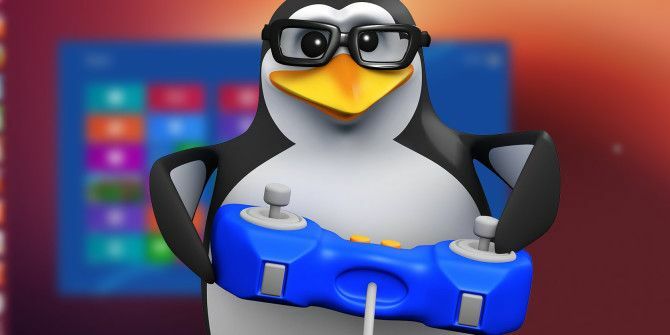 Read More — which has a huge library of Linux games 10+ Windows Games You Could Be Playing on Linux with Steam 10+ Windows Games You Could Be Playing on Linux with Steam If you've been holding onto Windows simply to play your favorite games, let go. Installing SteamOS is now a viable option and the following collection of titles illustrate just what the situation is in 2016. Read More , dating back several years — and GOG.com. This collection of retro titles (an acronym of “Good Old Games”) is a great resource, offering games from the past at affordable prices. For instance, you’ll find titles that were very popular in their day, or overlooked despite being high quality. Many titles in GOG’s library are compatible with Linux, or come with DOSBox emulation built in so that they can be run without a fiddling around with Microsoft’s abandoned command line interface. Finally, you have the option of games that have been ported from Windows to Linux. A ported game is one that has been rewritten in some way so that the game can run in a different operating system while remaining more or less the same. Back in the days of arcade game conversions for consoles and home computers, these titles were often ported across various platforms; owners of one home computer might have been aggrieved to find that a much awaited release hadn’t been written for their device, but rather, ported from another (the Robocop movie adaptation in 1987 drew particular ire from Amiga fans, for example). So, what ports are available for Linux? Well, it depends what you consider a port! For instance, a browse of the Ubuntu Software Center will reveal the existence of a free version of Quake II, but this requires data from the original Windows version. Over at GOG.com you’ll find a list of retro ports to Linux, ranging from Great Giana Sisters to Chaos Engine, while many other ported game options are available, such as the early Doom games and titles running on the ScummVM emulator SCUMMVM - A Point-And-Click Adventure Game Emulator SCUMMVM - A Point-And-Click Adventure Game Emulator Read More . There’s also the option of clones, meanwhile. These are games that copy well-known PC titles that aren’t otherwise available on Linux. This is a shrinking group of games, thanks to virtualization, Wine, and Steam, but among the most well known are FreeCiv Play The Civilization Game For Free With FreeCiv Play The Civilization Game For Free With FreeCiv Read More , FreeCol, and OpenTTD Create The Ultimate Transportation System in OpenTTD Create The Ultimate Transportation System in OpenTTD OpenTTD, is easily accessible, free, and available for all major platforms. Read More — these are clones of Civilization II, Colonization (both by Sid Meier) and Transport Tycoon. How do you enjoy retro games on your Linux computer? Are you a DOSBox fan, or do you prefer Wine? Perhaps you prefer to install more recent titles — tell us how you game on Linux in the comments box below. I personally run a few Windows applications with POL, every now and then. Despite its name, it can also be considered just as a GUI for Wine. A pretty convenient one because it lets you have separate profiles and Wine versions for different programs. Well that *is* embarrassing. Thanks for highlighting that, Lazza, much appreciated! Don't mention it. :) I write blog posts too and know the feeling: sometimes you just proof-read but can't see your own mistakes for a while. Bochs all the way. It's cross platform too, and great for benchmarking. I had an XP box with it installed, and ran XP, Windows 7 and Windows 8. I'm a Wine man. I have about 10 games and 5 programs running in Wine, with the latest 1.9.13. I made custom desktop files, scripts in /usr/local/bin, and most of my Wine applications/games get their own folder in /opt.